Last year the Denton City Council adjusted the City of Denton tax rate to the effective tax rate. The effective tax rate is the tax rate to offset the increase in appraisal value so your City Tax should not increase from the previous year. In 2017 the City of Denton tax rate was lowered by about 4.5 cents per $100 valuation. This year the effective rate would have lowered by about 2.7 cents per $100 valuation. The City Council only lowered the tax rate by 1.7 cents and the other 1 cent will go to capital improvements in Denton. Please note that no services in Denton were cut. If you are over 65 and have homesteaded your home, your City property taxes are frozen. Most of our property taxes are for the Denton schools. School tax rate remains at 1.54 cents per $100 valuation and it is also frozen if you are over 65 and homesteaded. The first meeting for the Robson Ranch Capital Improvement Funds (CIF) was held October 22. There will two more meetings, on November 27 and December 18. In 2020 Robson HOA will move to zero subsidy from Robson. It is important everyone in Robson Ranch be familiar with the change in the CC&R’s to create a Capital Improvement Fund (CIF). Residents will vote to make the changes. The new Argyle Fire Station 514 on Cleveland Gibbs Road serves Robson Ranch and Harvest. 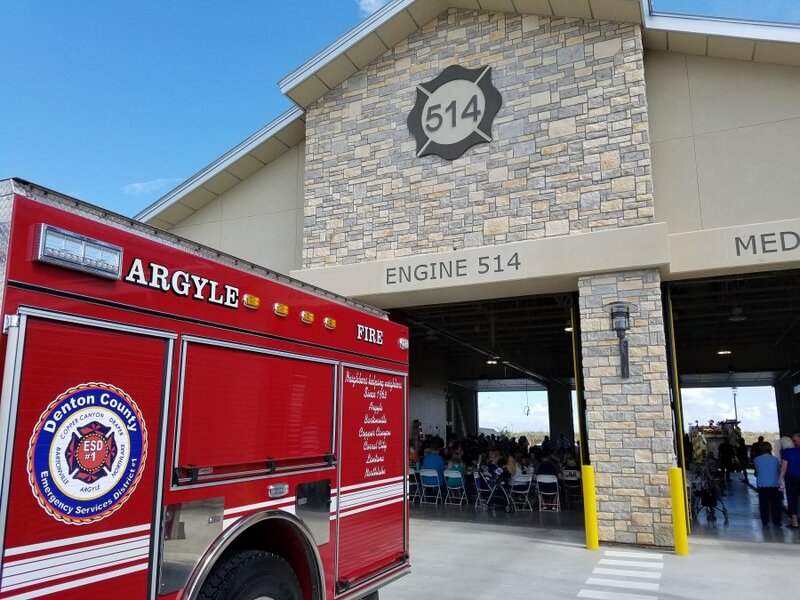 The new Argyle Fire District Fire Station 514 began operation September 15. This Fire Station is the primary Fire Station for Robson Ranch. The station is located at the corner of Cleveland Gibbs Road and Old Justin Road which is exactly 3 miles to Robson Ranch’s main gate by way of Faught Road. Once Cleveland Gibbs is completed from Old Justin Road to Robson Ranch Road, Fire Station 514 will be one mile from Robson Ranch’s main gate. Cleveland Gibbs Road will be completed when the property on both sides are developed. Fire Station 514 does not currently have an ambulance but one is scheduled in the future. An ambulance is located at Denton Fire Station #7 on Vintage Road. All fire engines will have a paramedic. The Argyle Fire District and Denton Firefighters work very closely to protect our homes and lives. The new Fire Station 514 will lower our home insurance but more importantly, by reducing their response time, will save lives and property. Like all of our neighbors we are trying to dry out from near record rains over the past two months. It seems like we transitioned directly from summer into winter. What happened to fall? Robson Ranch has an effective drainage system so water quickly escapes the property, and everything turns green. The golf course is playing beautifully and open for public play. The course is constantly being discovered as a hidden gem and is now being booked for corporate outings and tournaments of all sizes. If you have an interest in playing, just give us a call. Our new PGA Director of Golf Services will roll out the red carpet. Did You Know? While Robson Ranch is thought of as a retirement community, about 2 in 5 households have at least one person who works. This demographic brings some youthful dynamics to the Ranch. Bocce ball and Texas Toss has taken off. Bocce has grown from 64 players in its premier season in 2017, to 400 players this fall. The same spectacular growth has come on Friday afternoons for Texas Toss. Now 320 strong, dozens of teams play weekly enjoying a beverage or two from our bar at the Grill. Even weather can’t be a deterrent to these fanatics. On a rainy day you might find the Texas Toss courts being set up on the Clubhouse ballroom floor. As a side note, all Robson Ranch Clubhouse rooms are also available to the general public for banquet or meeting bookings of various party sizes. Robson Ranch is Definitely Growing. It’s no secret that southern Denton County is growing at a rapid pace. Robson Ranch is no exception. We now have over 2100 homes. Vacant lots are being purchased to build dream homes at a rate of slightly less than 4 lots per week. The newest models include the Encore series, comprised of smaller two-bedroom homes. Come One Come All. Stop by and enjoy the Rollin’ Ranchers Car Show and Toy Drive on Sunday, November 18 from 1:30 to 5:30 p.m. All neighbors who receive The Cross Timbers Gazette are welcome to attend the Car Show. But please bring a wrapped toy to support the Texas State Guard’s “Young Heroes of the Guard” Christmas Toy Drive. We are trying to fill the bed of an antique pickup truck with toys. The toys will be distributed to children confined to children’s hospitals in the greater Dallas/Ft Worth area, bringing a moment of happiness and encouragement. While you are visiting us, you might as well take a moment and view the model village. 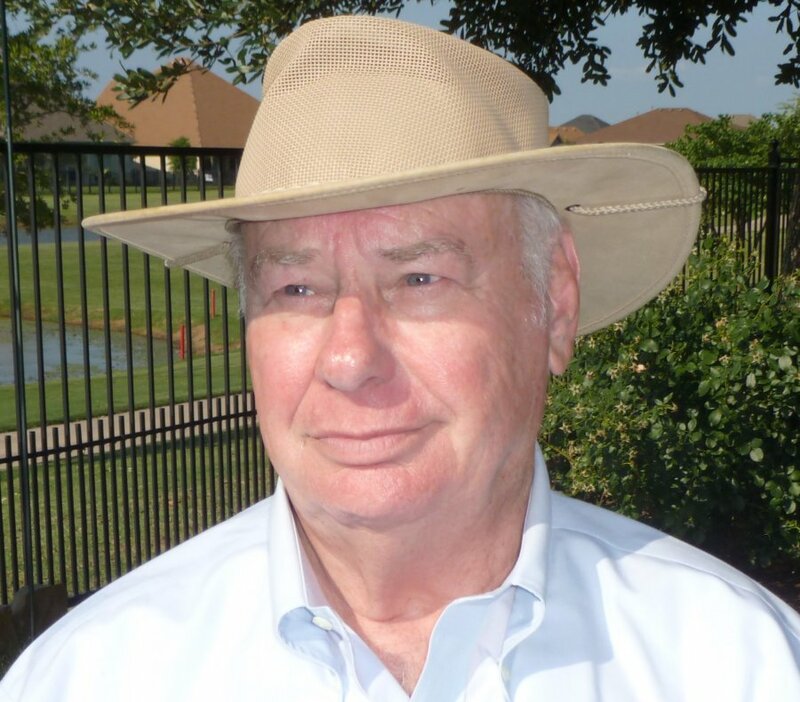 Maybe, just maybe, you can become an actual neighbor and enjoy the active adult lifestyle at Robson Ranch.